The Punisher is back - with a vengeance! 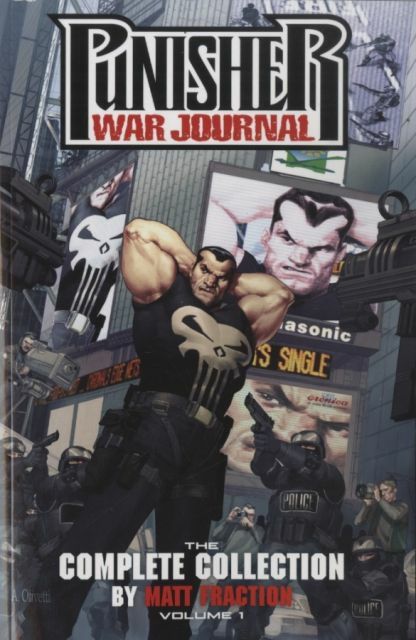 When a superhuman Civil War breaks out, Frank Castle finds himself square in the crosshairs of G.W. Bridge, a S.H.I.E.L.D. big gun who always gets his man. Frank should be lying low, but when spandex-clad bad guys start carrying badges...well, that's something he just can't abide. But can the Punisher play by Captain America's rules? In the war's aftermath, Frank infiltrates a super-militia bent on igniting a bloody race war - and led by a new Hate-Monger! With Bridge in hot pursuit, can the Punisher disrupt the National Force's plans - or will he succumb to hate? Plus: An all-new look for the Punisher brings the Winter Soldier out of the woodwork. And can Frank stand up to the alien madness of WORLD WAR HULK?